Cupboards were sticky from spilt jam and honey, and the oven smoked when you turned it on because of the fat that had built up over the years. Agatha would never, ever let her future home end up like this. She would never leave it every day like Ruth did. She would never put her trust in strangers. Ruth and Christian are - just - holding their marriage together, after Christian's disastrous affair a year ago. But chaos beckons, and when the family are suddenly left without any childcare, Agatha comes into their lives to solve all their problems. But Agatha is not as perfect as she seems and her love for the children masks a deeper secret. 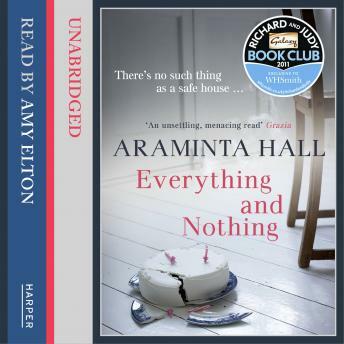 Everything and Nothing is a stunningly assured debut, superbly evoking an atmosphere of inexorable and sinister menace that builds to a mesmerising climax in a story that is, at its heart, about thwarted and damaged love.